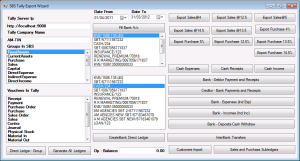 Our Accounting software is a transactional accounting system that tracks every Rupee coming in or going out. Create invoices, input your purchases, track payments due, and make payments by printing checks. Money coming in and going out is controlled through the system and hence you have complete control of your company finances. This is Suitable for a small to medium size business. It provides all accounting functionalities, provides statutory tax related reports, and static workflow functions. 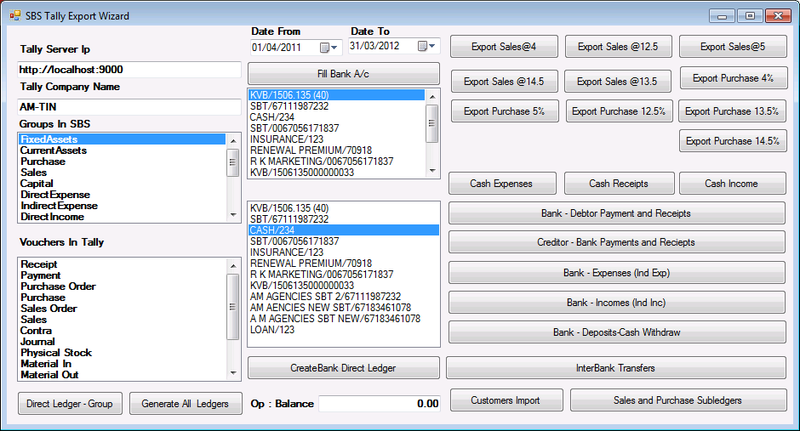 Main features of the software are Multi-location inventory, Production, Bill of Material, Sales, Purchase Order Processing, User-configurable Invoicing, User-configurable Documents , Letters, Sales Tax Reports ,Registers, VAT Returns, Registers (State-wise), Mfg., Trading Excise Registers, Service Tax, TDS, MIS Reports & Analysis. Our accounting software includes Tally integration. That is Tally integration allows to automatically convert all accounting procedures such as sales, purchase, Ledger etc into Tally software. So Balance sheet can be generated in Tally. You can view our standard Tally export wizard here .